the IRC networks, although some modules are specifically designed only for Undernet network. o Tcl 8.5 or higher. - Major coding changes for better and faster performance. -- Added a helpful information system to show, after each info request from BlackTools manual, some important TIPS about how to use this script. --- All major protections supports now addition of exceptions and customization of the ban method on each word. ----- The bot now understands some CIDR notation and dnslookup bans. ------ All protections and ban methods recognize webirc hostmask like: mibbit.com, kiwiirc.com, irccloud.com. - Code fixes and enhancements. - Added multiple random code messages for a better security. - Recoded and combined antijoinflood with antijoinpartquit in only one protection. - Upgraded to show more statistical informations about: smiles, actions, questions, etc. - Automated abuse system to report directly to the BOSS OWNER. -- Possibility for owners to decide whether they want to receive notes or not. - Added a personal protection for the bot against ctcp, notice, msg & ctcr using the server silence command. -- Changed the output method of showing the adverts. - Implementated an automatic banlist clean system to remove a certain number of bans when the channel banlist is full. - Added (global) to distinguish local bans from global ones. - Added a new protection againts chars/consecutive repeated letters. - Added a flood protection settings against those who abuse the use of command. 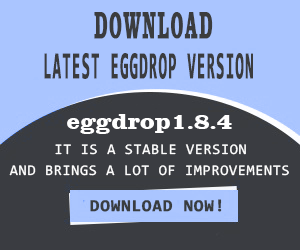 -- Added the possibility that the report to be sent in eggdrop's PRIVMSG. -- Added extra option ShowBadChan-bwait and words to be exempted. - Added extra an option badnick-bmethod. -- You can now add words to be exempted. - Added possibility of being able to modify the banmask method. --- You can now add words to be exempted. - Added exception for Undernet Official Bot *X*. - Minor text fixes: spelling and grammar mistakes. - Some major bugs fixed. -- Removed the adduser command and included all it's functions to the add command. - Reintroduced count module, but only as informative thing and how to use it. - Added exception from on-join message for all users with access. - Reintroduced the statistics for ban commands used by each user with access. * Read BlackTools MANUAL for more info about how to use it. ** Read INSTALL file to know how to install it. *** Read FAQ file for the most frequently asked questions. Donations will help us to keep working on this project.